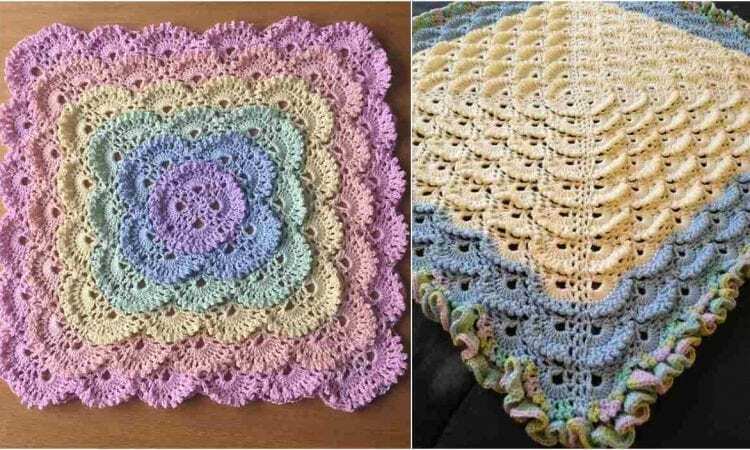 This eye-catching baby blanket will be a perfect gift for a baby shower. The vintage-inspired Meringue Stitch Blanket will make a fluffy and soft cover for any baby girl or boy. A beautiful combination of texture and colours will match all baby outfits, but you can also go for a more elegant look and make it in a solid colour. For more free designs every day follow us on Facebook. The Link to the pattern is below. Fluffy Meringue Stitch Blanket – visit the free pattern site. Go here and here on Ravelry to see more details about hook and yarn. Der Blog ist sehr schön ich liebe die Kombination der Farben und die ausgefallenen Muster. Love it! Can’t wait to try it. Will give this pattern a try, do love it though.